Hill’s next question had a geology metaphor; not “where do your ideas come from?,” but “if you drill down through your novel, what’s at the bottom?” Mitchell listed five elements of the novel: plot, character, style, ideas/themes, and structure. Plot and character are propulsive; style and ideas are…”What’s the opposite of propulsive?” (The audience shouted out ideas. Mitchell suggested this would be a fun game show. “What’s the opposite of a peacock?”) Structure is neither propulsive nor its opposite, but the neutral vehicle itself. “Novels need ideas like bread needs yeast” – a little bit makes the whole thing rise up. Structure, for Mitchell, is key: “When I find that key, the doors open in relatively rapid succession.” But you can’t impose a structure just for the sake of it; the structure must harmonize with the ideas in the novel. Cloud Atlas‘ Russian nesting doll structure suited its ideas perfectly, and may be part of the reason the book is Mitchell’s best-selling one. (“Cloud Atlas will probably be on my tombstone. 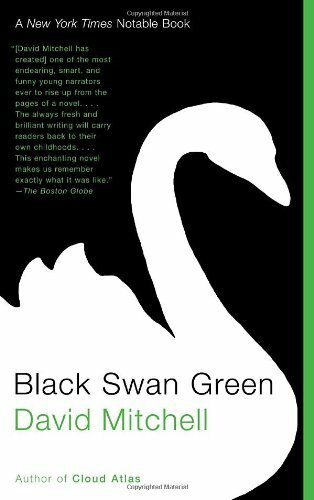 It will probably pay for my tombstone.”) Black Swan Green‘s structure may be the most conventional of all Mitchell’s novels, with thirteen sections, one per month, January to January. (Hill to Mitchell: “There’s twelve months in a year, but you were close.”) Why such a radically different structure for each new book? “I’m vain enough to want to be original. Or maybe it’s not vanity…I wish to avoid cliche.” Hill commented that Mitchell’s structures make his books architectural, which chimes nicely with my own idea of each of Mitchell’s novels being like a room in a house, with characters wandering our of one and into another. 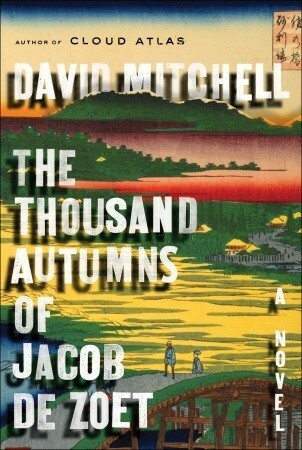 Hill asked if Mitchell wrote on a computer or on paper; Mitchell answered that mostly he typed, but he started new novels on paper. “I can doodle my way” into a novel on paper, but not on the screen, often starting with sketches of characters’ faces, he said. Hill then turned the mic over to the audience for a few questions. The Bone Clocks wasn’t on the Booker Prize shortlist. (Not really a question.) Mitchell quoted Julian Barnes, who’d said, “The Booker Prize is posh bingo.” Mitchell then noted that Barnes said that before he won (for The Sense of an Ending in 2011), and might not say the same now. 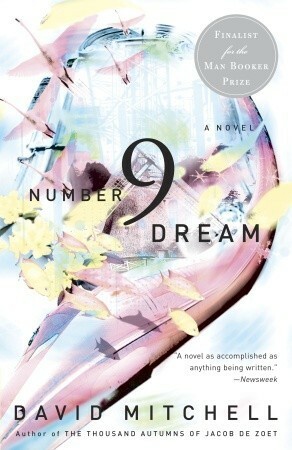 Mitchell did mention that his books had been on the list in previous years (The Thousand Autumns longlisted in 2010, Black Swan Green in 2006; Cloud Atlas shortlisted in 2004, Number9Dream in 2001), and didn’t appear bitter that The Bone Clocks didn’t appear on this year’s list. His goal, he said, was that if his name were removed from his books, that no reader would be able to tell it was the same author who had written them. (Although some of the character names would be dead giveaways.) He’s always trying something different, which he allows can be trying for his publishers. But the roomful of readers in Cambridge tonight wouldn’t have it any other way. Thanks: to LibraryThing for an ARC of The Bone Clocks; to Porter Square Books for setting up the event; to Joe Hill for sharing his thoughts on Doctor Who; to the nice people in line; to David Mitchell for signing two books; to David Ebershoff for a few minutes of nice conversation after the signing. For a short summary and review, please see my review for the Robbins Library on Goodreads. For a more complete summary (spoilers included) and quotes, please see my review on LibraryThing. I thought Ursula K. Le Guin’s review for The Guardian might be more sympathetic, but she calls Mitchell’s writing “anxious” and self-conscious. She wrote – surprisingly for a fantasy/sci-fi author – “I find these radical shifts of time and person difficult, and, though willing to suspend disbelief, am uncertain when to do so. Am I to believe in the hocus-pocus of the secret cult of the Blind Cathar in the same way I am to believe in the realistic portrayal of the death agonies of corporate capitalism – or should I believe in them in different ways? How many novels is it? If it is one, I just don’t see how it hangs together. Or maybe its not hanging together is the point, and I’m not getting it.” Le Guin also probes, not unjustly, at Mitchell’s choice to narrate in the present tense. I know some readers who are particularly sensitive to present-tense narration, but in this case at least, I didn’t find it troublesome. Rather the opposite: by using the present tense, Mitchell anchors the reader in each of six presents. Joanna Kavenna, in the Telegraph (UK), is generally positive, though she doesn’t sound entirely pleased for David Mitchell that he has entered that “lit-fic kingdom of heaven” where one is both “critically acclaimed” and “wildly popular.” Michiko Kakutani, for The New York Times, provides more of a summary than any other reviewer; her review is mixed, praising the realistic parts of the novel and dismissing the “silly mumbo-jumbo” of the more fantasy-heavy sections. I found the “mumbo-jumbo” fairly easy to decode, but I could see how readers might have trouble with the denser paragraphs of it. Considered individually, the words Mitchell makes up or repurposes are all logical, even if he does sometimes use a noun as a verb (e.g. hiatus). Back to James Wood’s review in The New Yorker, in which he displays his condescension for fantasy and science fiction. He gives a head-nod to Susan Cooper’s The Dark is Rising series and Mark Haddon’s Boom! (“a terrific little book I enjoyed reading to my son a few years ago, but which I didn’t bother to treat as more than a nice bedtime game”), but clearly he believes that fantasy and sci-fi are for children (who, apparently, only read or are read to for diversion, not to set their imaginations on fire and develop worldviews). Undoubtedly, The Bone Clocks has elements of both science fiction and fantasy, and no reviewer who scorns these genres as less serious than “literary fiction” can review it fairly. (Besides, as Holly’s father points out to her partner, Ed: “Life’s more science-fictiony by the day.”) Wood’s lack of interest in these aspects of the novel led to his misunderstanding in at least one case: there wasn’t a “schism” between the Horologists and the Anchorites; they are fundamentally different creatures. The Horologists are reincarnated; the Anchorites practice animacide (not “animicide,” as it was printed in The New Yorker. Anima = soul). Furthermore, Wood seems to disparage storytelling itself. In the opening paragraph of his review, he writes, “As the novel’s cultural centrality dims, so storytelling…flies up and fills the air. Meaning is a bit of a bore, but storytelling is alive.” I would argue that storytelling is central to the human experience, and good stories – the stories we remember and retell – do have meaning. 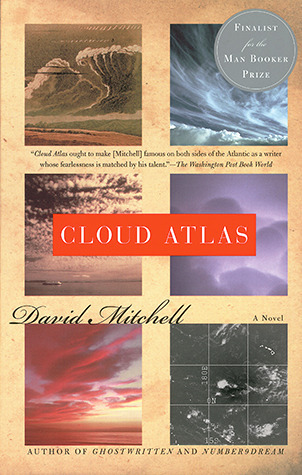 Mitchell’s novels, particularly Cloud Atlas and The Bone Clocks, have more meaning than most of the other contemporary novels I’ve read. Wood barely addresses the sixth and final section of the novel, wherein Mitchell imagines a realistically grim version of 2043. Some of Wood’s criticisms are fair; he writes that “[Mitchell’s] characters, whether fifteen-year-old girls or middle-aged male English novelists, sound too alike.” It’s true that Holly Sykes (at all ages), Hugo Lamb, Ed Brubeck, Crispin Hershey, and Dr. Iris Fenby (a.k.a. Marinus) are all clever, witty, insightful, and observant, but their dialogue and their thoughts are unique enough to be distinct. (Mitchell has already proved, in Cloud Atlas, that he’s capable of writing in many different voices and dialects.) And it’s not as if character was sacrificed for the sake of storytelling, either; Kakutani calls Holly “a thoroughly captivating character,” and I’m inclined to agree. Though it is by no means easy reading, I love spending time in the Mitchell universe, where every novel belongs to one “‘Uber-book,’ in which themes and characters recur and overlap.” Seeing these characters reappear is like running into an old lost friend at a Christmas party: unexpected recognition, a delighted sense of “oh, it’s you!” In The Bone Clocks, nearly everyone makes an appearance: there are cameos from Jason and Julia, Alan Wall, and Nurse Noakes (Black Swan Green), Timothy Cavendish (Cloud Atlas), and the omnipresent moon-grey cat; there is a larger but behind-the-scenes role for Luisa Rey (Cloud Atlas); and Marinus (The Thousand Autumns of Jacob de Zoet) and Hugo Lamb (Black Swan Green) play significant roles. 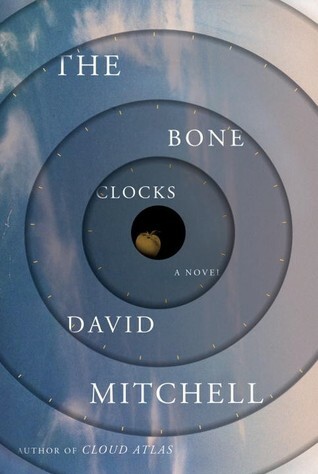 According to David Mitchell himself, The Bone Clocks is about survival. And it is about the future we are all headed for if we don’t begin making drastic changes now: a scarcity of resources and a consolidation of power, lawless zones and fear, a time when we’ll remember clean water and electricity as luxuries. Of course, both survival and life can be considered on more than one scale: in The Bone Clocks, there is the individual, the species, and the Atemporals. The Horologists and the Anchorites may be pure fiction, but we still have to worry about the rest. Will 2043 look like it does in Mitchell’s vision? Last fall I wrote about Google’s redesign (which actually increased the number of clicks it took to get something done). Sure, it’s a “cleaner, simpler” look, but how did it get cleaner and simpler? To put it plainly: they hid stuff. For those who are continually riding the breaking wave of technology, these little redesigns cause a few moments of confusion or annoyance at worst, but for those who are rather more at sea to begin with, they’re a tremendous stumbling block. Today in the library, I helped an 80-year-old woman access her brand-new Gmail account. She signed on to one of the library computers with her library card – no problem there. Then she stared at the desktop for a while, so I explained that she could use one of three browsers – Chrome, Firefox, or Internet Explorer – to access the Internet. “Don’t confuse me with choices, just tell me what to do. Which one do you like?” she asked. 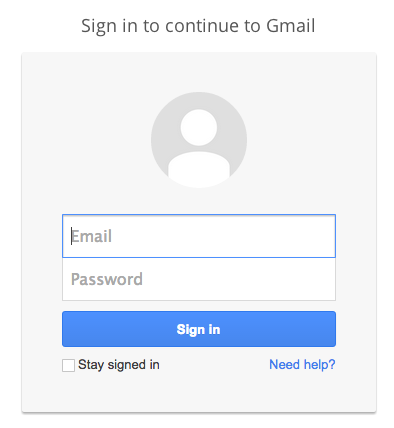 Then came the sign-in screen, asking for email and password; at least the “sign in” button is obvious. Next, we encountered a step that asked her if she wanted to confirm her account by getting a mobile alert. I explained that she could skip this step, but she clicked on it anyway, then got frustrated when her inbox didn’t appear. Now, here’s something that anyone who has ever put up any kind of signage probably knows: People don’t read signs. They don’t read instructions. Good design takes this into account; as Don Norman (The Design of Everyday Things) says, “Design is really an act of communication.” Good design communicates with a minimum of words and instructions. In this case, I canceled the prompt for her and we got to her inbox. I showed her that she had three e-mails – informational, “welcome” e-mails from Gmail itself – and upon seeing she had no mail, she wanted to sign out. “Do I just click the X?” she asked, moving the mouse up to the upper right hand corner of the program. I explained that clicking the red X would close the browser, but that she should sign out of Gmail first (even though the library computers wipe out any saved information between patrons). How on earth would a new user know to click on that to sign out? She wouldn’t. And the thing about new users (very young ones excepted, usually) is that they don’t want to go around clicking on random things, because they’re afraid they will break something, or make a mistake they can’t correct or backtrack from. I think the above scenario will be familiar to anyone who works in a public library, not to mention anyone who has tried to help a parent or a grandparent with a computer question. It’s easy to get frustrated with the user, but more often than not the blame really rests with the designer – and yet it’s not the designers who are made to feel stupid for “not getting it” or making mistakes. 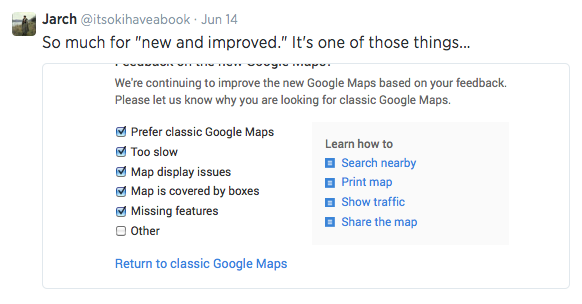 Think the latest “upgrade” to Google Maps. If there are checkboxes for all the things you already know are problems, why push the new version? Edited to add: WordPress isn’t immune, either. Is it “easier”? Is it “improved”? How so? I’m OK with the way it is now, thanks…but soon I’m sure I won’t have a choice about switching over to the new, “easier,” “improved” way.